My 11-year old son, Pablo, has never learned the basics of computer such as the MS programs and all that, but he’s always on the computer, creating animation and some really impressive stuff regular, non-geek mortals like me would never really understand. But I think that touch typing is a useful skill to have for everyone in this age of emails, social media marketing, and online collaborations. That’s why I wanted him to try The Typing Coach. Our schedule has been crazy busy the past two months and finding the time to go through the The Typing Coach Online Typing Course was tough. So I decided to ask my son to go through the course himself. At first I wasn’t sure if I made the right decision because at first glance, I thought that the website was a bit too wordy, I was afraid he’d get confused and bored, but I relaxed as soon I saw my son enjoying the process. Pablo started by watching the introduction video. 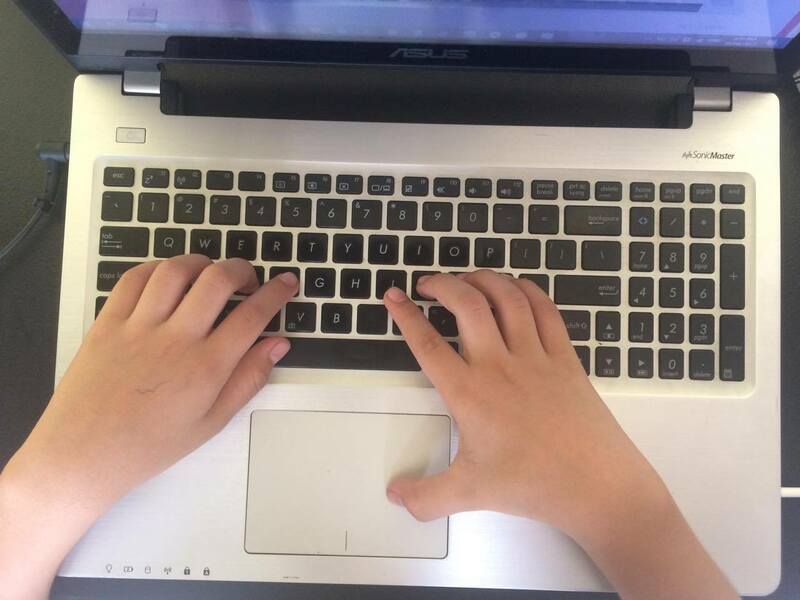 The Typing Coach offers two types of lessons – a full course and a set of slower paced lessons, which according to the site, is designed for younger students and people who are not quite ready to take on the full course. We both agreed on him doing the latter. The slower paced lessons included four modules – Having a good posture, Home Row, Top Row and Bottom Row. These modules are actually videos that have demonstrations on how things must be done. I only took a peek but saw that it discussed the basics, from how the keyboard must be positioned, to properly placing your fingers on the keys. Pablo said he had a hard time with his Enter key because it won’t respond to his touch sometimes (he’s using an old laptop of mine that needs reformatting), but says that he enjoyed learning touch typing. 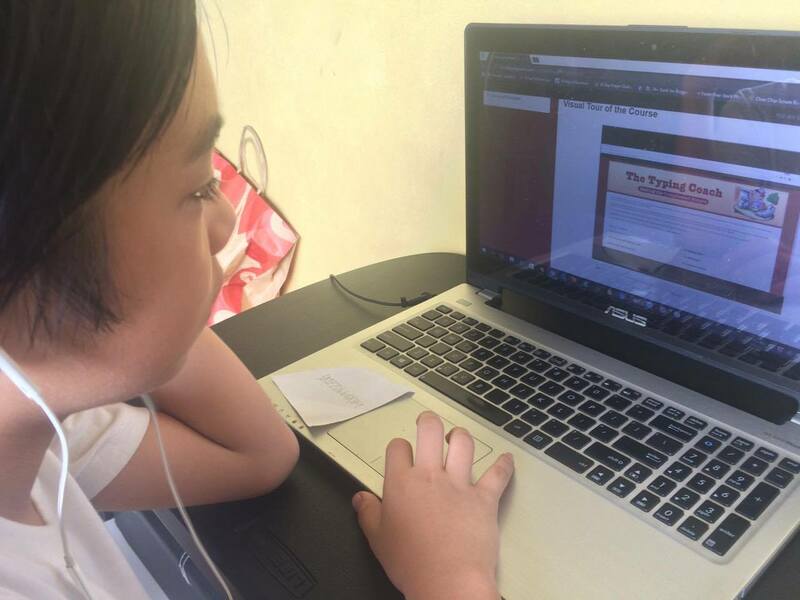 He said that memorizing the punctuation marks was hard, but he seemed to dig it and even proudly announced that he was able to memorize the rows, and was able to type along without peeking at his keyboard. According to the site, it’s up to the student if, after the exercises, he would go ahead with the tests on the Review and Testing Center, or skip them altogether. We didn’t feel that Pablo had spent enough time on the lessons so we decided to skip the review and testing center for now. The full course is a more expansive version of the slower paced lessons. It not only includes the four modules, but also a more comprehensive set of practice exercises with a downloadable progress chart and lesson packets in PDF format. There is also a resource center for teachers or parents who are guiding their students in the course. You won’t be guessing your way through; you are sufficiently provided with videos that you can watch and PDF lesson packets to read throughout the entire program. When you look into the Teachers Resource Center, you’ll find various tools to help your student enjoy his learning experience more, such as incentive charts and typing tickets or keyboarding practices, and so much more. And it has videos for you to watch that helps you develop your dynamics with your students. It’s a complete learning package! In this age of digital marketing, my ability to type 65 words per minute helps a lot in my line of work. My fingers can run with my brain as the ideas come. My son dreams of being an animator but even animators have to write emails, manage their own websites or run businesses online. (And that needs serious typing skills, I’m telling you!) So I truly believe that touch typing (along with good grammar and writing skills) is necessary in any industry. The Typing Coach Online Typing Course is a great program that you can use to encourage your home schoolers to develop the skill. The videos are fun and engaging, and they make you feel like you’re actually learning from a typing coach (that, according to my son). 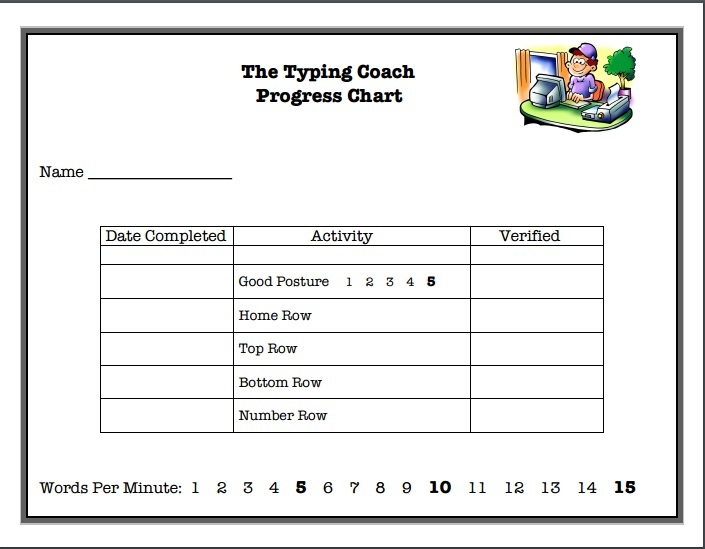 Check out The Typing Coach to know how to register for the program. Or follow them on Twitter. Your son is brilliant, I’m sure he’ll go a long way. Pero let me just say “WOW!” at your typing speed! I’m only at 52-55 wpm! I might reach that speed it I memorized the keys, I didn’t kasi. So my hands aren’t in proper positioning. 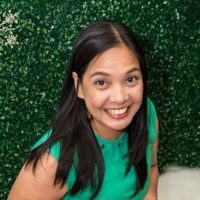 Nasanay nalang dahil sa araw2 na work sa computer and note taking ng calls. lol. This makes me reminisce my high school days when I first learned to type blindfolded using a typewriter. Haha! But this one looks like something I can use for Ziggy eventually. He’ll be having a computer subject already this coming school year. When I was in high school, I really cant find the logic of having typing class. We used a typewriter then. Then when I went to college amd.took up journalism, I would love to thank my high school teacher for being so patient with me. Saw the importance of using the typewriter. Now.comes the age that typewriters are almost obsolete.and we havr computers. The more that I appreciated having that typing class. Your son is doing great progress. I wonder how my three sons fare. I am not even aware. 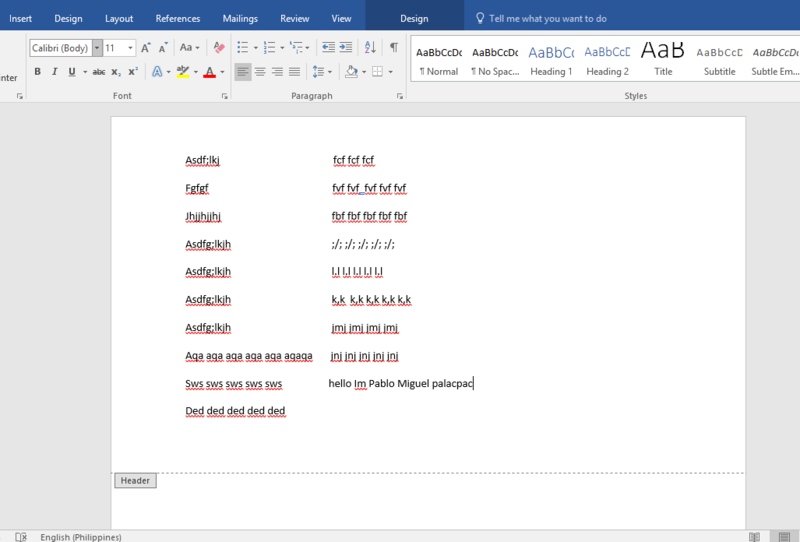 typing lesson was really hard on my part way back highschool days. Wow, your son is very smart. I’m trying to remember what I was doing when I was 11 and it was no near amination haha. I think that is the beauty of technology talaga, allowing everyone to learn as much as they can. My daughter starting typing lessons for her computer class as well. Maybe, I can introduce this to her too. This does remind me of typing lessons back then. This is nice for kids to learn as soon as they can use the computer already. I will give this a try nga with my eldest.